George and Mary had seven children born between 1881-97. One, William (left) (born 1889) was a tenant farmer. He served with the 4th Bedfordshire Rifles during World War 1 when he was awarded the Military Medal. William married Florence Young from Breachwood Green, Kings Walden on 31 January 1910 at St Marys, Hitchin. James and Mary Ann’s middle son, George (born 1855) stayed in Preston after his marriage to Mary Ann Hearl of Whitwell in the summer of 1880. He stated then that his occupation was as a dealer. In 1881, George and Mary Ann were living at the cottage at the corner of Church and Chequers Lanes where George was a general dealer. The cottage had more than five rooms and is pictured right. The lady standing in the doorway may well be Mary Ann Swain. 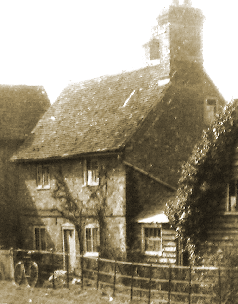 The family continued living in the village into the twentieth century, although then George was working as a woodman. He had an accident and lost an eye as can be seen from his photograph below. 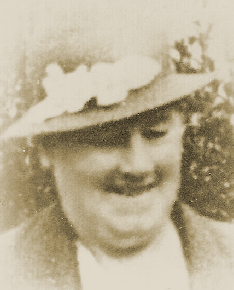 James’ brother, John Swain (born 1858), married Preston girl, Ann Jenkins, on 30 October 1875 in Hitchin. They also moved away from the village for in 1881, they were recorded at Ley Green, Kings Walden where John was a farm labourer. Ten years later, in 1891, they were still in Kings Walden at Parsonage Farm Cottage but by 1901 they had moved to Bedfordshire - to Dallow Farm, Luton where John was working as a yardman. John and Ann had four sons. James and Mary Ann continued to live in Preston. 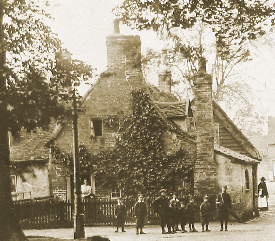 In 1861 and 1871, they lived at ‘Vine Cottage’, Preston Green (left) where they paid an annual rent of five guineas to the Temple Dinsley estate. James was working as a farm labourer. Ten years later, they moved to ‘Kiln Wood Cottage’ and James was recorded as a woodman (although his son, George, described him as a gamekeeper in 1880). James died at ‘Kiln Wood Cottage’, aged 73, and was buried in St Pauls Walden on 16 February 1898. Mary Ann continued to live at the cottage where she had her grandson, George, for company in 1901. She died in the winter of 1908 having lived in Preston for all her 82 years. James and Mary Ann had three sons. The eldest was William (born 1853). He married Jane Crouch from Baldock in 1878 and they were settled at Union Street, Hitchin in 1881 when William was a farm labourer. Ten years later, they had moved to Girtford, Sandy in Bedfordshire where William was a brickyard labourer in 1901. William and Jane had two children. (a victualler) and his wife, Anne Mary. They had six children, who were all baptised in Kimpton between 1777-85. 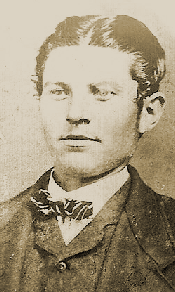 Their youngest child was Moses Swain (bapt. 1785) who married Elizabeth Warren on 1 October 1818 in Luton. Moses and Elizabeth had at least four children. By 1824 they had moved into the parish of Hitchin and were living at Shilley Green, Langley where their son, James, was born. In 1841, Moses and his family had moved again to Church End, St Pauls Walden, and Moses was working as a farm labourer. Ten years later, in 1851, he was following his father as he was a victualler at Railway Street, Hertford. Moses died at Church End, St Pauls Walden on 21 April 1860 from pneumonia. He was 75. Link to Swain (Moses) family tree. Meanwhile, his son, James Swain (born 1824), had married the Preston girl, Mary Ann Scott, on 28 September 1850 at St Marys, Hitchin. Both marked rather than signing the register and their witnesses were Sarah Chalkley and Thomas Joyner. The following year, James and Mary Anne were lodging with Charles and Eleanor Saunderson at Preston. Their first born, Mary Ann, was baptised in St Pauls Walden on 7 September 1851 but sadly died as an infant at Preston and was buried at Hitchin on 24 May 1852.